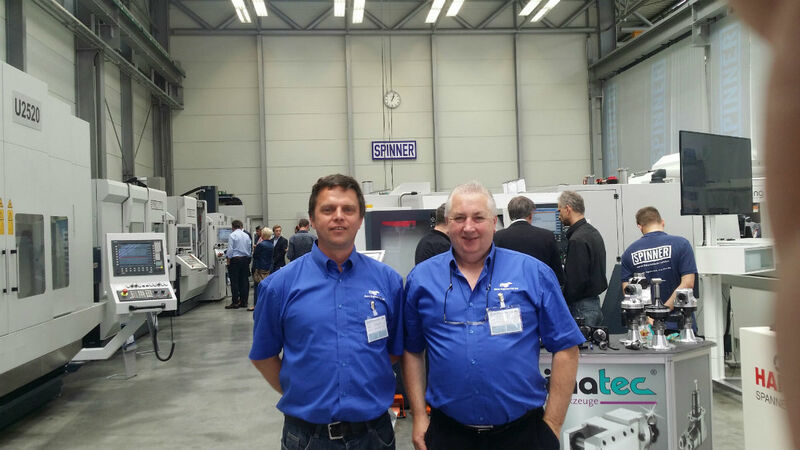 Pictured are Rolf Fuhrmann (Managing Director) and Gerry Neads (Technical Manager) from Mann Engineering who visited the Spinner Manufacturing Plant in Germany last week. The plant is based in Sauerlach, which is a municipality approximately 20km South of Munich. Mann Engineering carry out regular assessment of new technology and processes, by way of visiting industrial trade shows and visits directly to machine manufacturers like Spinner, to ensure we continue to remain to the forefront of our industry, by adding the latest multi-axis lathe technology to our ever growing portfolio of CNC machinery. Spinner which has been in operation since 1950, manufacture ultra precision lathes and high end machining centres in their plant in Sauerlach, employing 300 people, producing over 1000 CNC machines per annum. They also have an advanced manufacturing automation and robotics plant, that employs a further 60 people in Markgröningen close to Stuttgart.